“The world could always use more heroes…” It’s what can be considered the main motto of the super-popular game Overwatch. I’ve been playing a lot of Overwatch, well, since it came out last year, actually! It’s one of my staple games and I never go more than a few days without playing a few matches. 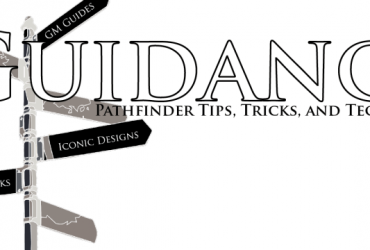 As such, I thought it was only right to take one of my favorite heroes from the game and give it the Pathfinder treatment. I love me some Overwatch and I love me some robots so of course I had to go with Bastion! This construct is made to resemble a humanoid figure. It sports a bright light in the center of its head and a large gun on its back. Configuration: Recon (Ex) While in recon form, Bastion gains access to its slam and submachine gun attacks. It gains Shot on the Run as a bonus feat. Configuration: Sentry (Ex) While in sentry form, Bastion becomes a stationary turret and loses its movement speed. It gains DR 5/— and access to its gatling gun. As a full-round action, it can fire with its gatling gun up to three times. It receives a –2 penalty to attack rolls when attacking in this way. 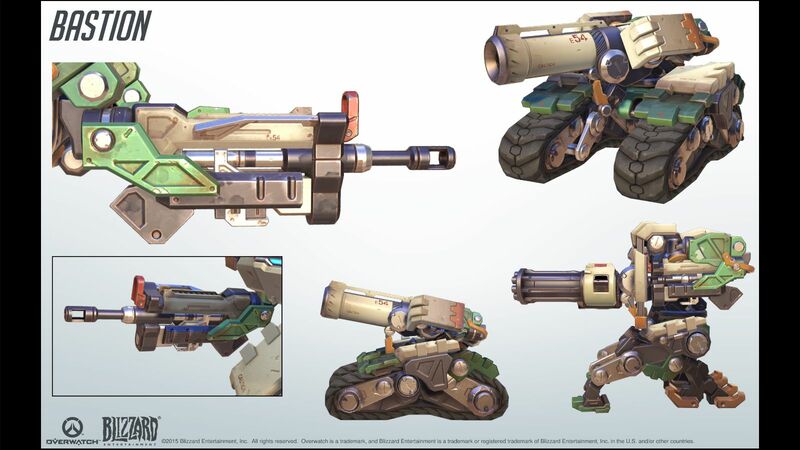 Configuration: Tank (Ex) While in tank form, Bastion becomes a mobile cannon. Its speed is reduced to 20 feet and it loses access to its self-repair ability. It gains access to its cannon attack and gains Shot on the Run as a bonus feat. Exposed Core (Ex) Unlike a typical robot, Bastion is not vulnerable to critical hits or electricity. Instead, its vital energy core is exposed while in sentry configuration. Creatures flanking Bastion while it is in sentry configuration deal double damage to Bastion. Reconfigure (Ex) Bastion has a number of configurations available which determine which abilities and attacks it can use. Bastion can freely switch between recon and sentry configurations as a move action. Once per day as a move action, it can switch to tank configuration for 3 rounds. Self-Repair (Ex) As a move action, Bastion can use its self-repair system to recover 20 hit points. It can instead use the ability as a full-round action to recover 50 hit points. Afterwards, it must wait 1 round before it can use this ability again. The Siege Automaton E54 unit, also known as a “Bastion,” is one of many constructs known as omnics. Omnics are intelligent, self-aware robots. Bastion units were built for peacekeeping purposes. They have a number of powerful weapons at their disposal, which were only intended for defense. At one point in time however, the omnics rebelled against the original creators in what was known as the Omnic Crisis. The Bastion units were one of many omnics that used their capabilities to turn on their makers. While most Bastion units were destroyed during the Omnic Crisis, a number of them still roam the land. The roaming units still attack on sight, believing that the Omnic Crisis continues to this day. Some of these units though, are “reformed,” having returned to their original programming, defending itself and others when possible. Noting the difference between the different units proves difficult and many reformed units are destroyed on sight, never receiving a chance to prove their change of heart. A typical Bastion unit stands 7 feet tall and weighs 1,200 pounds. A Bastion unit has seemingly grown quite affectionate with a small bird. The Bastion will follow the creature without any other regard for its surroundings. When the bird manages to bring the Bastion close to a local village, the PCs must quickly assess the situation and convince the villagers to leave the Bastion alone. They must then work to relocate the bird and thus, the Bastion, without drawing the ire of the Omnic. The PCs are working with a piece of technology that is quickly running out of power. The only nearby power source is the core of a deadly Bastion unit. The robot is running on its attack programing and will shoot anyone one sight. A large wall is preventing access to an enemy lair. The wall is quite strong and typical attacks are not working against it. A Bastion’s cannon is powerful enough to penetrate the barrier, but local’s mention that the resident Bastion is quite reclusive. The PCs must attempt to locate the Bastion and then convince it to aid them by using its cannon to destroy the wall. For those not in the know, Bastion is one of the playable heroes from Blizzard’s latest FPS, Overwatch. The game follows a large number of characters in post-Omnic Crisis world, working to keep the world safe. In regards to gameplay, it’s 12 people shooting guns and lasers at each other until one team of six finally wins. 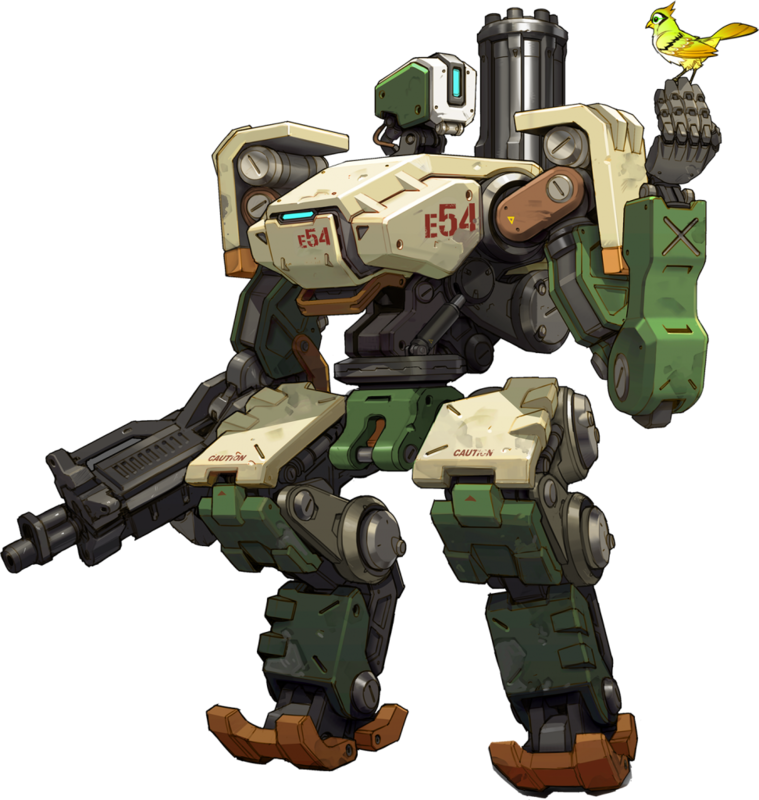 As one of the heroes in the game, Bastion has a number of different abilities in the game that it can use to fight. Bastion has all of its various configurations I presented above and freely switches between the two to attack and defend. In its sentry configuration, Bastion can quickly deal large amounts of damage, which I tried to translate as multiple attacks. I also tried to give Bastion the ever aggravating self-repair option which makes it so hardy. 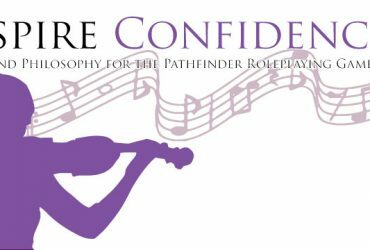 I believe I covered all the different aspects of the character here and I’m quite pleased with how simple the reconfiguration aspect turned out. That’s it for this week! Please let me know if you would like to see some more Overwatch heroes statted up. There’s a few more that I think I could make! If you end up bringing Bastion into your game, or you have any request for a future Monstrous Physique, please drop me a line at KnowDirection@hotmail.com. Could you make genji and reinhardt if possible?